During one of our "Friends" meetings we saw a blank wall and wanted to fill it. 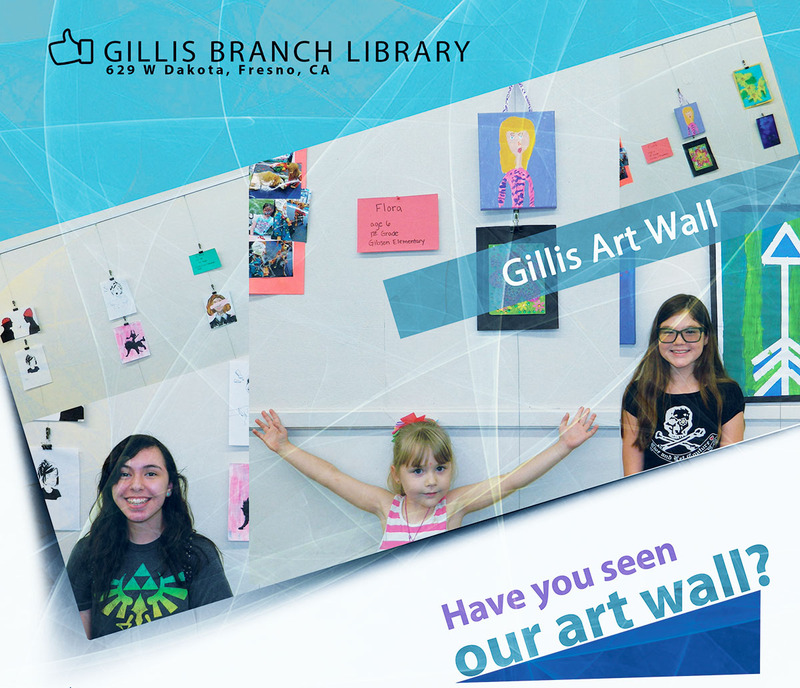 We decided it would be great to give patrons of the Gillis Branch a chance to showcase their artistic talents. We purchased a vertical art display & set up a poster asking people to submit their names. The response has been overwhelming. For those that did respond, please be patient. We will get to all of you! We've met wonderful people of all ages, and giving them a chance to present their work is exciting. The variety of art has also been amazing. Being able to expose the Gillis Community to these artists will hopefully be enjoyable for all & may spark creativity in some. Neighbors appreciating & learning from each other. This is our goal. There's a wonderful new photo exhibit on the Gillis Art Wall. Our volunteer, Mary, has taken some beautiful photographs and is showing them with a fun twist, "What do you see?". Her views of sunrise, sunset and clouds allow your mind to imagine all sorts of things. Mary has been a volunteer for the Friends of the Gillis Library for many years. She handles many things including mailing, phone calls, email lists, volunteers, and publicity for our book sales and activities. 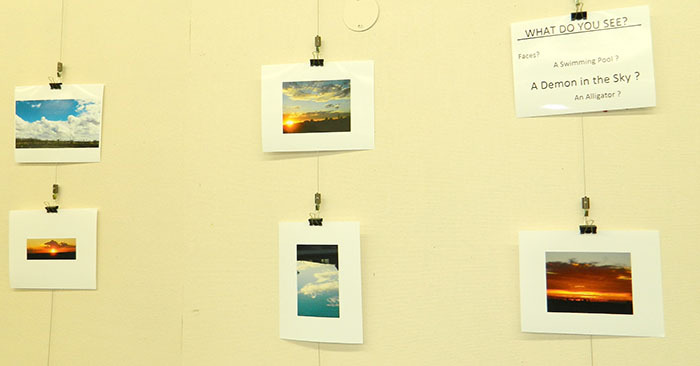 Please come by the Gillis Branch, enjoy her photographs, and ponder the question, "What do you see?" 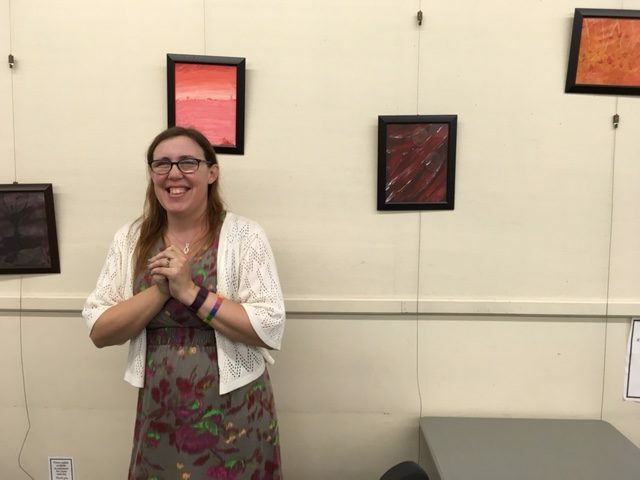 The previous show on The Friends of the Gillis Library Art Wall featured the work of three very talented young ladies. Elena is 14 years old and attends Calvary Chapel Christian School. Ella is 12 years old and attends Edison CompuTech Middle School. Flora, is 6 years old and attends Gibson Elementary School. Ella & Flora are sisters and all three girls have been coming to the Gillis Branch for many years. What is your favorite thing about the library or favorite thing to do at the library? I like the activities the library holds for people to join, like contests! I would say that I started to get into art when I was about 8, so about four years. As for what my favorite thing to do at the library is kind of stereotypical, I like to find books and just read. I like to know what I'm checking out before bringing it home. Flora's favorite activity at the library is "Read with a Dog", the Tail Waggin' Tutors program. You can see pictures from some of those sessions in her photo collage. As you can see, these girls use a variety of techniques and are extremely creative. 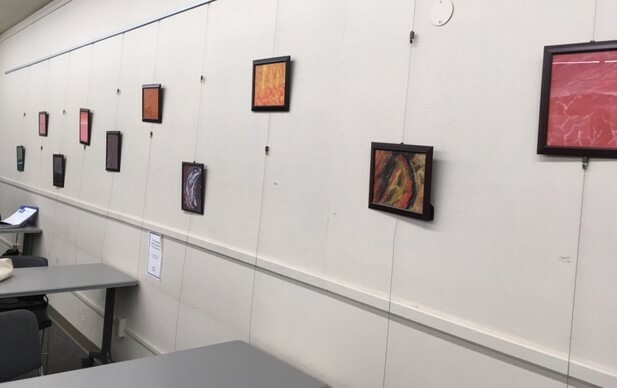 We're very happy to give them a place to display their art and hope you will stop by the Gillis Branch and enjoy the show. 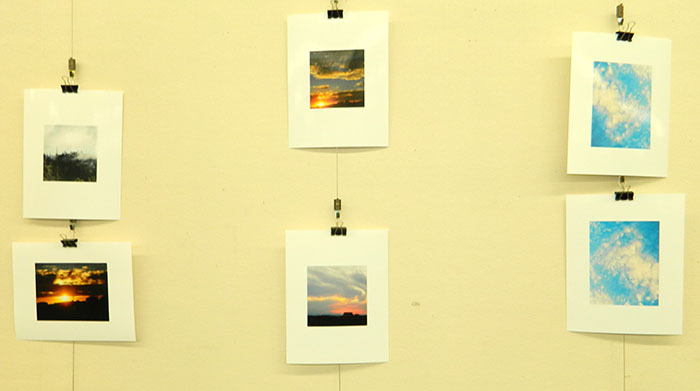 A receent exhibit featured selected works from "Year in the Valley" by Kaylia Metcalfe. We hope you had a chance to stop by and see her work. Kaylia Metcalfe is a stay-at-home mom, a community activist (board member of Gay Central Valley), writer, and artist. She also does freelance grant writing and editing projects. If you have any further questions, please feel free to reach out directly to Kaylia! ← Free Yoga Classes? Namaste, indeed! Take a look at what's going on in the Friends of the Fresno County Public Library's world. You'll find news, event announcements, book sales, and more! Free Yoga Classes? Namaste, indeed!